FINALLY, TIME TO GET RID OF THAT OLD MATTRESS! After months of back pain and headaches, you let go of that old bed and bought a new mattress. We’re jealous. But now you're faced with a new headache that is mattress disposal. What are you going to do with your old mattress? Well, you could leave it in the garage or attic to take up space and collect dust. Or you could toss it out to the curb and hope someone will come pick it up. Or even haul it off to the dump yourself. Not very appealing? We don't think so either. Did you know that approximately 40 million mattresses/boxsprings get tossed in the landfill every year in the United States? Surprising, isn’t it? Even more surprising...imagine how much space 40 million mattresses takes up in our dumps. While sitting there wasting away, those tossed out mattresses will soak up dangerous chemicals, and create flammable air pockets. 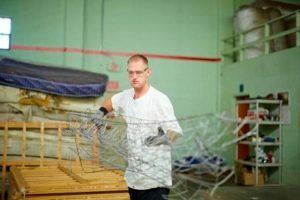 The configuration of box springs can create a dangerous situation for landfill workers and their equipment. And fairly often, springs pop off and get stuck in machinery causing tens of thousands of dollars worth of damage. And what's more, many of the machines must be fixed by hand. 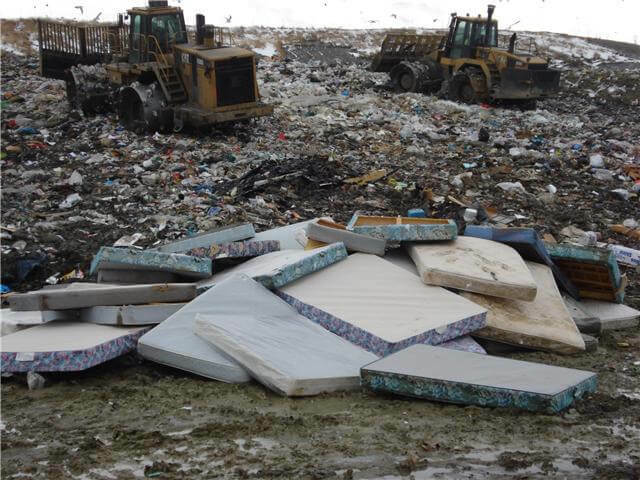 With all of the sanitary bedding laws in place, you may find it difficult to donate your old mattress, but with a little research, you can find an organization that will take it and you won’t fill up the landfill. If the mattress is free of stains and structural problems many places will accept them as gently used and will find a new home for them. Some places that accept mattress donations are furniture banks, religious organizations, and homeless shelters. If you can’t find an organization that works for you don’t give up. Next, try recycling that old thing. Over 90% of the mattress can be recycled. Once the mattress has been stripped down, the wood can be recycled into landscaping material, the foam can be used as padding or insulation, and the metal springs are easily recycled. Basically, everything but the mattress covering can be recycled. AZ Junk picks up and removes unwanted mattress and household or office furniture throughout the Phoenix area. We know donating and recycling mattresses can be tricky. But there is one simple thing you can do to make the process easier. Call AZ Junk. We know all about old mattresses, we deal with them all the time. Like all the stuff we pick up, we will recycle or donate anything we can. We know the places to drop off mattresses for recycling and we also know where to take gently used mattresses for donation. We do all the work, from hauling out of the house to dropping it off at its destination. All you have to do is schedule an appointment. Let us help you find an eco-friendly way to get rid of your old mattress.